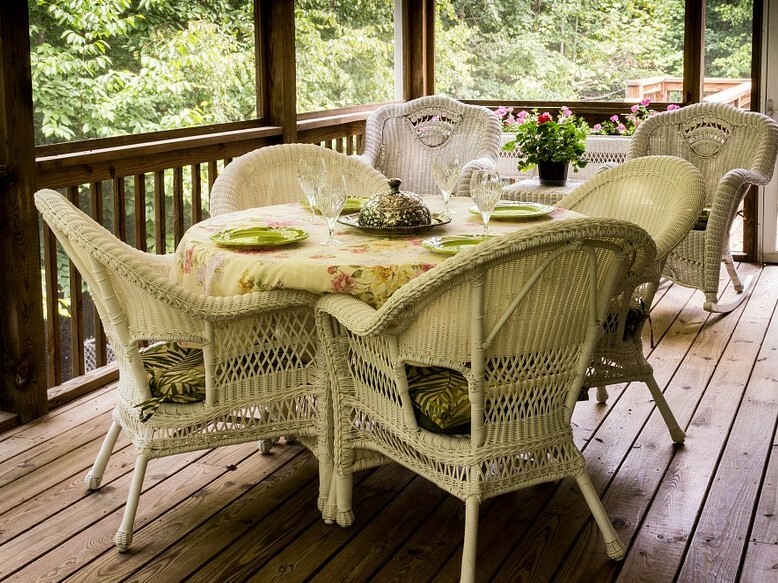 Follow these steps to make sure your deck stays in good condition. Clean between the boards to loosen and lift out any dirt, mud or other debris using a putty knife. Don’t use anything that would damage the wood. Sweep the deck thoroughly. Ensure that you’re using the correct cleaner for your deck. Some require that the deck be wet before the cleaner is applied. Apply the cleaner with a brush-style broom, garden hose sprayer, or a paint roller. Follow the manufacturer’s instructions carefully. Don’t forget to clean the railings, beginning from the bottom up, and the stairs then rinse thoroughly. If you’re planning to reseal the deck, wait at least two full days. Check the deck for any large gouges, loose boards, or other signs of wear. If nails have popped up, take them out and replace it with a slightly longer wood screw. If there are any boards with rot or significant signs of wear, replace it. Check railings as well to make sure they’re secure. 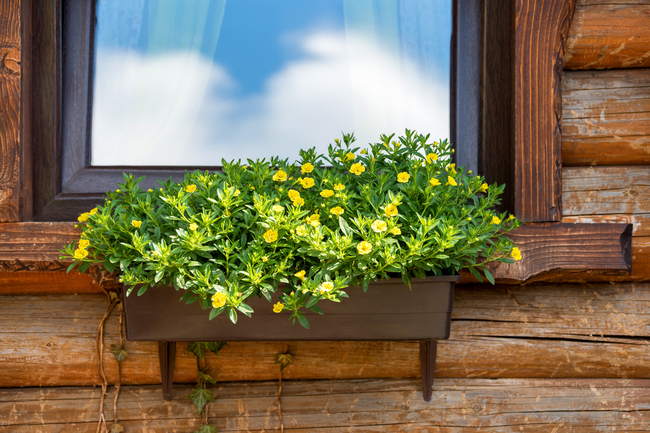 Remember to periodically move furniture or planters to clean underneath and prevent rot. Plants should never drain directly onto the deck. Keep a tray underneath each item to catch excess water. Protect the deck from furniture scratches with nylon pads similar to what you would use in the house. Don’t use any natural fibers that can mildew or rot. If you have a grill on your deck, take a few precautions. Make sure there’s sufficient space around the grill so air can circulate and the heat won’t damage the deck. Protect the wood under the grill with a spatter mat, specifically manufactured for that purpose. Again, clean under the mat regularly to keep dirt and grease from building up. Clean up any spills as soon as they occur. 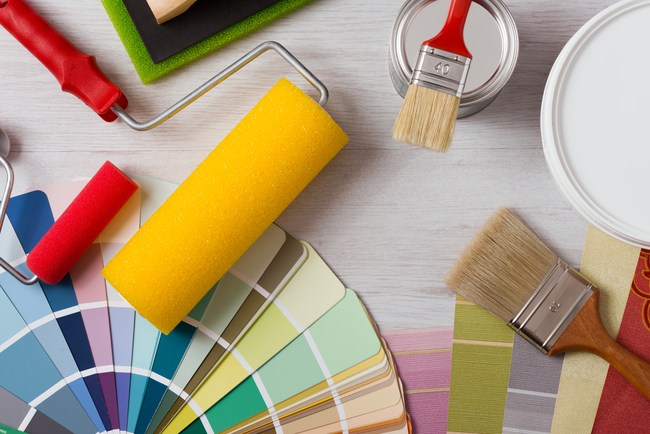 University Painters are experts in the treatment and maintenance of exterior surfaces. Contact us today for a free appointment at 800-390-4848 or visit our website at universitypainters.com.